In this paper, I am going to analyse some of Seamus Heaney´s poems in order to comment some of the conflicts, problems, opinions… he has because of his nationality, (he is Irish) and that he states along his works. Seamus Heaney was born in April, 1939. He grew up as a country boy, in the midst of a traditional, rural…environment and family. His father’s family was more traditional than his mother’s family (McCann), which was more connected with the modern world than with the traditional rural one. 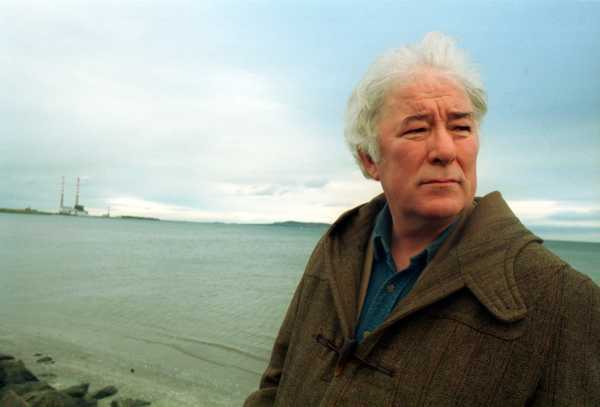 This fact has always influenced Heaney´s poetry, within this mixture of the Gaelic past and the Ulster of the industrial Revolution; and this tension between past and present is always latent in his poetry. Despite that his family left the farm on 1953, his mind was always connected with the rural world and rural County Derry is the "country of his mind" where much of Heaney's poetry is still grounded. So, somehow, he has always considered himself a “country boy”. However, when he won a scholarship to St Columb´s College, he had to leave all the rural atmosphere behind him. This event also contributed to the deve-lopment of his poetry because he always had that divergence between that old tradi-tional life emotion and the fact that he decided to dedicate his life to studies and art. Another important issue that is reflected in his poetry is that he was born into a society deeply divided along religious and political lines, specially, after the 1970´s, when the conflict took a violent dimension. He had a deep preoccupation with the question of poetry's responsibilities and prerogatives in the world, since poetry is poised between a need for creative freedom within itself and a pressure to express the sense of social obligation felt by the poet as citizen. He adopted a Pro-Irish patriotic and nationalistic perspective against British imperialism as he demonstrates in some patriotic poems, but the fact that the struggle was so violent, affected also his mood and poetry. So the main topics he deals within his poetry are conflicts between: Nature and Urban world; Tradition and Modern World; Past and Present; Ireland and England; and some romantic poems dedicated to and influenced by the figure of his wife: Marie Delvin-Heaney. (Seamus Heaney/Nobelprize.org). Concerning his political ideas and the feeling of oppression he has as an Irish from the British Empire, we can analyse the poem “Requiem for the Croppies” This short poem (14 verses) is formed by one stanza. The poem has also an iambic structure and rhyme and rhythm are regular. In my opinion, the poem is so short and regular that it can be considered as an anthem for the rights of Irish people against British, so its simplicity makes it easy to remember and sing. Furthermore, the poem is full of images referred to Irish people and land. The author uses many symbolic and metaphorical terms. The title of the poem deals with the death of the Croppies. The Croppies are the rebel Irish people with closely cropped hair, a fashion associated with the anti-aristocrat (and therefore, anti-wig, which fought against the French/British on 18th century to repeal an invasion (Croppy/Wikipedia). But I think the author uses this historical reference to refer to all the struggle of Irish people as a nation, and specially referred to the contemporary ages and resistance against British imperialism. The poet starts stating some references to some typical Irish symbols “pockets of our greatcoats full of barley”, “kitchens on the run, no striking camp”… and then empathises the union of the Irish as a nation: from the priest to the tramp (L. 4). However, despite the patriotic feeling and meaning of the poem, the narration of the events is quite tragic. The author focuses on the marching of the Irish as a country, as infantry fighting against cavalry; or the lower class fighting against the upper-class. However, finally cavalry cattle into infantry (L. 8) and they have to run away until Vinegar Hill: “The battle of Vinegar Hill was an engagement on 21 June 1798 between forces of the British Crown and Irish rebels when over 10,000 British soldiers launched an attack on Vinegar Hill. It marked a turning point in the Irish Rebellion of 1798 as it was the last attempt by the rebels to hold and defend ground against the British military” (Battle of Vinegar Hill/Wikipedia). Then, that hill became their tomb, because there was no possibility to escape. The last 4 verses are very sad because they relate the real fact of the death of that people, they died there without tomb or coffin, just the bodies. Over all, the most beautiful image is the relation between the first verse and the last one, because the poet connects the relation between what they were when they were alive: country boys with greatcoats full of barley; and what they were once they were dead, bodies in nature with the barley growing up over their grave. So the poem also empathises the obsessions of Heaney about past and present; the process of growing; life and death and nature. The last poem I am going to analyse is “The Early Purges” (1966). This poem is divided into 7 triplets. The rhyme is (a, b, a, each triplet) and the rhythm is also regular. Along this poem, Heaney also reflects his obsession with life and death using a metaphorical meaning. The author relates one experience he had when he was 6 years old when his kittens drowned and “Dan Taggart” threw them on the garbage telling him: “the scraggy wee shits are better now in the place they are than before”. That event marked him, firstly because the scene was so cruel, and then because he did not understand it. Dan (I think it is an unreal name to represent anyone) repeated him again and again with any animal he killed, that for sure, they were in a better place once they are dead. However, the author describes the meaning of that statement when he had to kill by himself the pups and he discovered than it is necessary to kill the animals to prevent illness and its spread. However the last stanza reflects another meaning the poem has when the author compares the urban life and the rural life, where the city people do not understand that cruelty with animals that the rural people employ to prevent pests. In my opinion, with this last stanza, the author is trying to explain the hypocrisy of town people because what they do is exactly the same, not only with animals, but with other people. Irish History Stubs, ”Croppy”, Wikipedia.org, Ed. Jimmy Wales, 26th April 2006. Battles of the 1798 Rebellion, “The Battle of Vinegar Hill”, Wikipedia.org, Ed. Jimmy Wales, 26th April 2006.